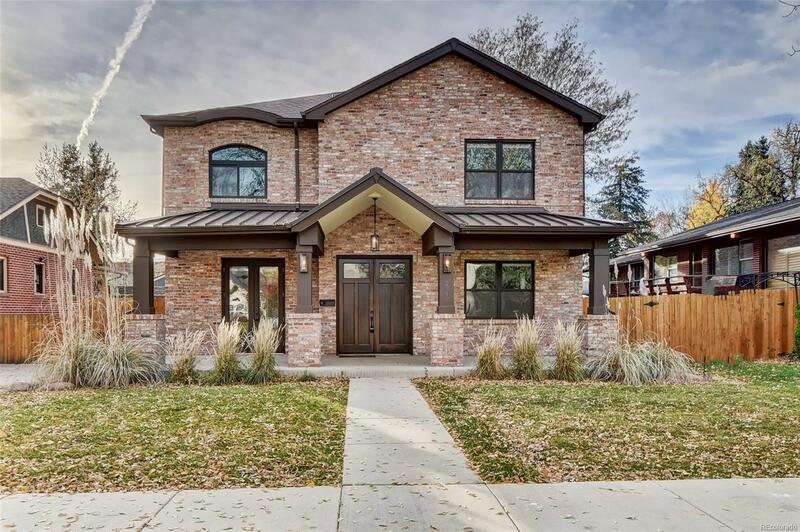 MLS#: 5980769 - Courtesy of Brokers Guild-Cherry Creek Ltd.
Extensive updates completed March 1, 2019 that completely transformed this house into a light, bright and very open "farmhouse" inspired look. The newly refinished white oak âScandinavian styleâ hardwood floors in the very popular matte finish gives this home a very clean look. New lighting fixtures throughout also help accentuate the farmhouse look. The top of the line Thermador appliances & a large Statuary Sino Venato marble island and painted exposed brick is a dream kitchen! This home is very open, spacious and very well designed, double crown molding throughout main level, 9 ft ceilings on all levels. Entering though french doors, the master bedroom features a 5-piece, all marble master bath with heated floors. Other features include 4 bed upstairs, 8 ft solid doors, designer lighting, Hunter Douglas blinds, tankless hot water heater, 2 multi-zone high-efficiency furnaces, 3 car garage. Before spending $2m-$3m plus on a new home in U-Park, definitely see this home first.